Cantor Rica Timman joined the Temple B’nai Torah family in 2017. Prior to this post she enjoyed sixteen years of distinguished service to Temple Beth El in Closter, New Jersey and twelve years of service to Temple Emanu-El in Lynbrook, New York. With a warm soul and gentle voice, Cantor Timman guides the congregation in prayer, music, ritual and spiritual leadership. TBT is congregation that deeply celebrates its Jewish musical heritage and Cantor Timman leads our volunteer Adult, Teen and Youth choirs, the Family Shabbat Band, and the TBT Ensemble in partnership with our music director, Vladimir Katz. 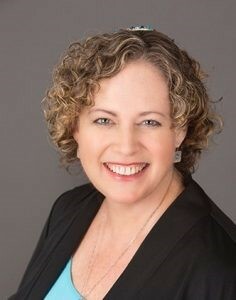 In addition to co-leading services, her work includes leading the B’nai Mitzvah program, training B’nai Mitzvah, participating in Religious School programming and teaching, leading Adult Education classes, life cycle counseling and services, and pastoral care. In addition to her busy schedule at Temple and in the New York area, Cantor Timman has appeared throughout the East Coast as a lecturer and performer of cantorial, classical and Broadway literatures. She has been a guest soloist at the Tanglewood, Bowdoin and Gamper Music Festivals and has performed with the Chicago, Boston, and London Symphony Orchestras, appearing on National Public Radio and Chicago’s Classical Radio WFMT. She often partners with many outstanding musicians of the New York Philharmonic in concert and on the bima. Her Lincoln Center debut was as the soloist in the New York debut of Charles Osborne’s oratorio “Kings and Fishermen” featuring Theodore Bikel, Matthew Lazar, the Zamir Chorale and St. Lukes Orchestra. Alumni Association of The Academy for Jewish Religion. Cantor Timman is a past president and serves on the board of the Women Cantors’ Network, an international organization of over 250 cantors. In addition, she is a member of the American Society of Jewish Music and Kol Hazzanim of Westchester. Ordained by the Academy for Jewish Religion in New York, Cantor Timman holds a Master’s degree in Music from the University of Illinois and a Bachelor’s degree in Arts from Sarah Lawrence College.